About 100 workmen. 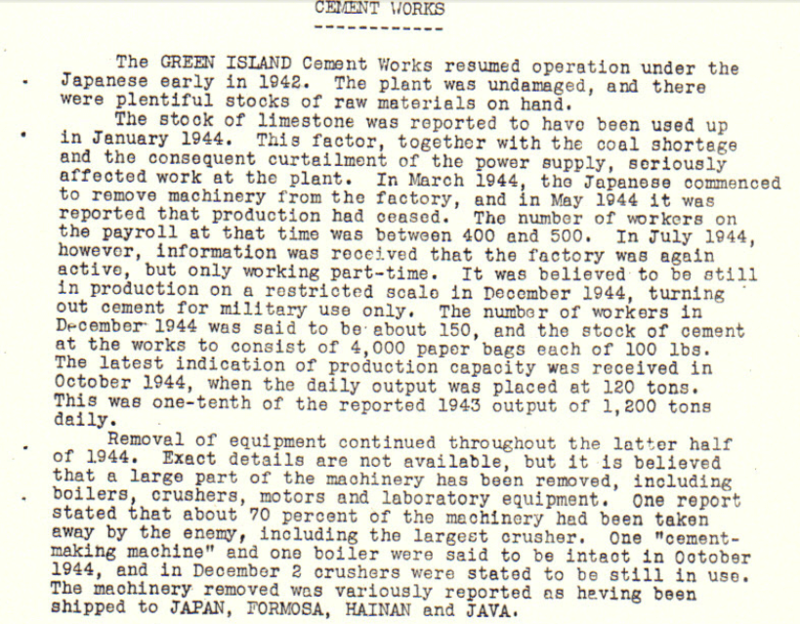 Owing to lack of raw materials production has stopped but there is still some old stock or cement in the works. 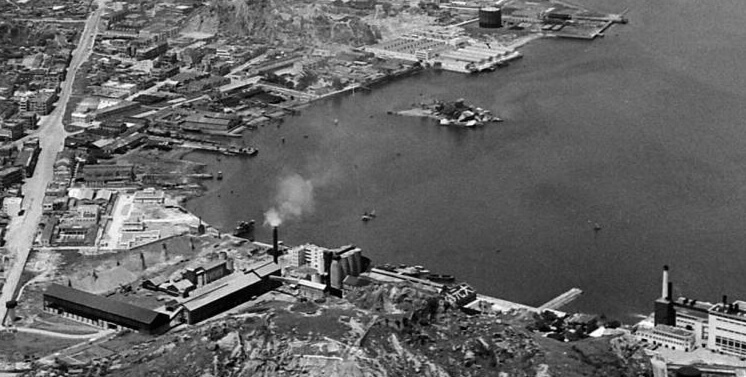 This 1949 aerial image shows, Hok Yuen Power Station bottom right, Green Island Cement, Bailey’s Dockyard and in the distance the gasholder of HK & China Gas Co. 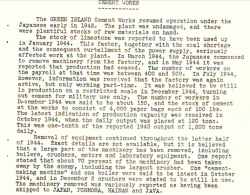 If you can find an image of Green Island Cement during the Japanese occupation please send it in. This article was first posted on 21st June 2015.